Since it’s fall squash season, I randomly came home from the grocery store with an acorn squash and no plan for what to do with it. That same week, we made a curry with some texmati rice (kinda like basmati rice, but made in Texas I think.) 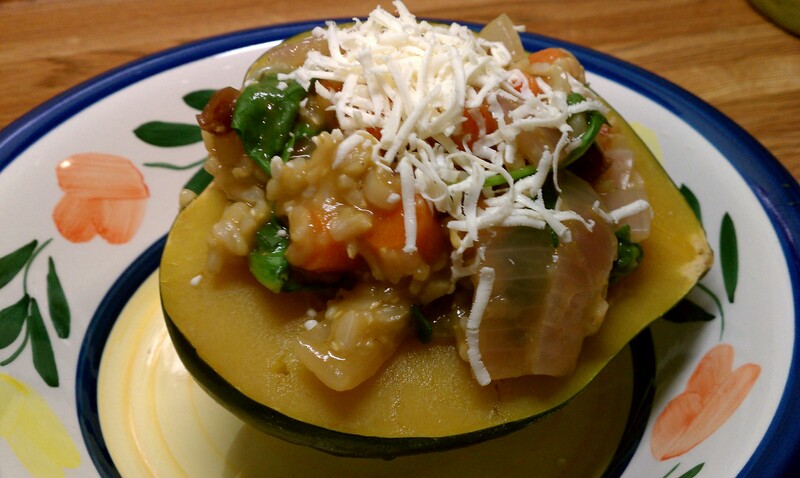 We ended up with quite a bit of left over rice so I decided to see if I could improvise a stuff squash recipe. It turns out that I can! 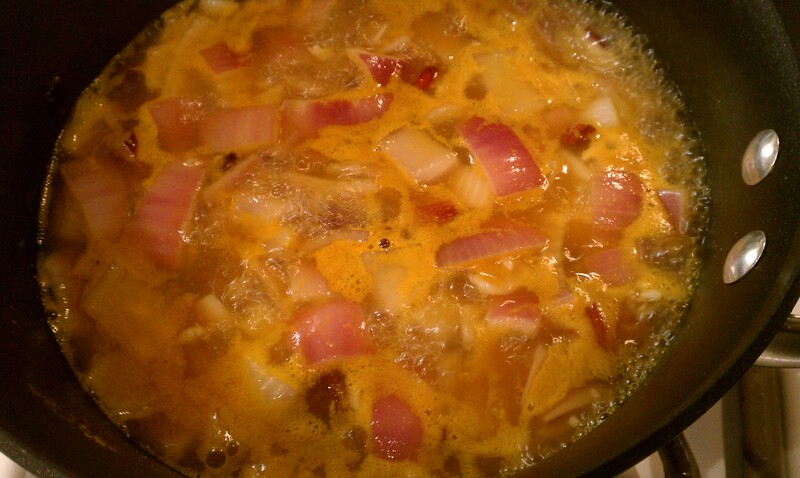 In order to make the filling flavorful I started by cooking some onion, dried cranberries, and garlic in vegetable broth (also conveniently left over from the curry). Cranberries are a nice complement to the sweet acorn squash. 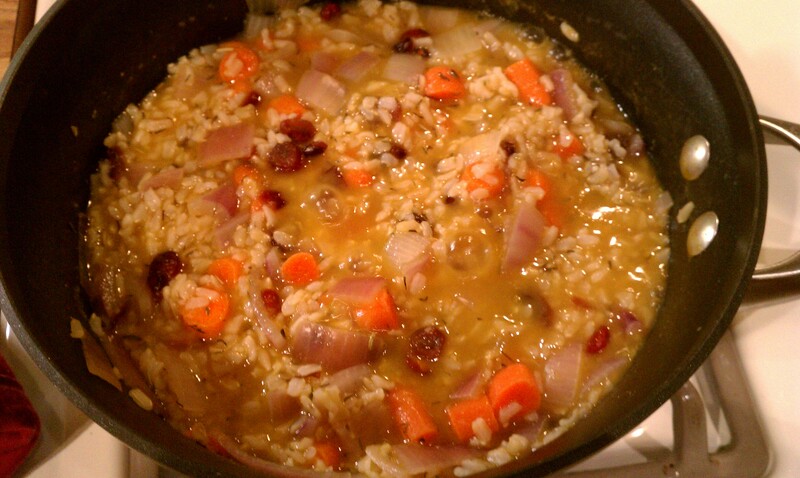 After the onions softened, I added carrots and the leftover rice. I simmered that mixture until the liquid was mostly absorbed by the rice and vegetables so that the filling would be creamy. When it was almost done, I threw in a few handfuls of spinach to wilt. While this was all going on, I cleaned the seeds from the inside of the acorn squash and baked the two halves upside down in a pan with about 1/4 inch of water in the bottom until the squash was soft. I filled the two halves with the rice mixture and topped with some Cotija cheese. Yum! ← Making applesauce… it’s really easy!